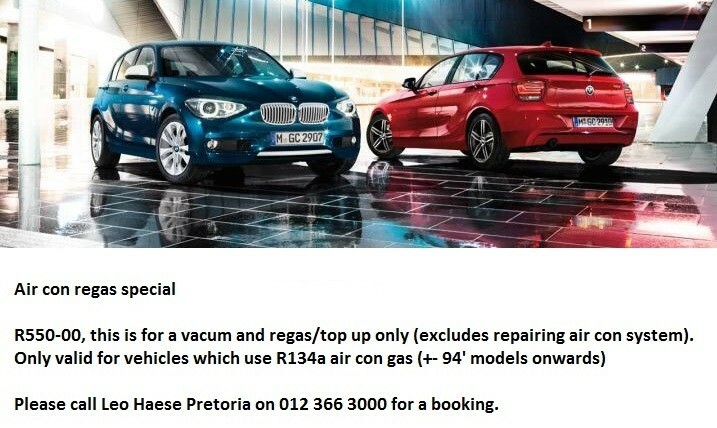 Leo Haese Hatfield has a air con re-gas special on at the moment (till end of march 2019). can this be done on a weekend? (20-02-2019 11:54 AM)Nikhil Wrote: can this be done on a weekend? Yes it can be done on a Saturday morning. Also interested in Saturday morning as its most convenient. Will make a booked for the following week. Booked my car in for the Aircon regas for this morning, and was pleased with the service and professionalism experienced. Greeted warmly by Marlene at the service reception, who then handed the car to Johan the workshop foreman. He was very professional and gave my car the special careful attention that I hoped for. So extremely pleased, since I have had many bad experiences at other dealerships in the past, so well done John and team! Wow great to hear this, well done John and team. Good to know especially with coming out of motorplan soon. Just out of interest, is this the old BMW dealer that is on the main road into centurion? Hendrix Verwoerd I think? It looks like a plain building with all the BMW logos and signs removed. (24-02-2019 08:17 PM)BeemerFanatic Wrote: Wow great to hear this, well done John and team. We are based in Pretoria Hatfield, 1209 Burnett street. 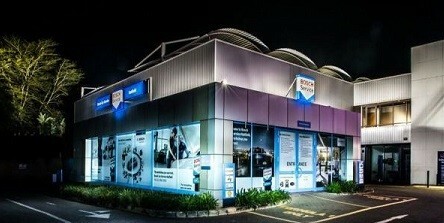 The Centurion branch is still a BMW approved workshop but they run independently to us. The Centurion branch is being upgraded at the moment, hence all the construction going on there. These specials are only at our branch in Hatfield.